I stopped the International Beauty Show at the Javits Center and caught the last hour before the expo ended. The expo was huge and I definitely would love to attend again next year. There were so many interesting products and services to learn about and try out. I had a chance to stop by Bling Strands and I had 2 feather extensions put into my hair and loved it! I paid $5 per feather and they also put in 2 complimentary glitter strands. 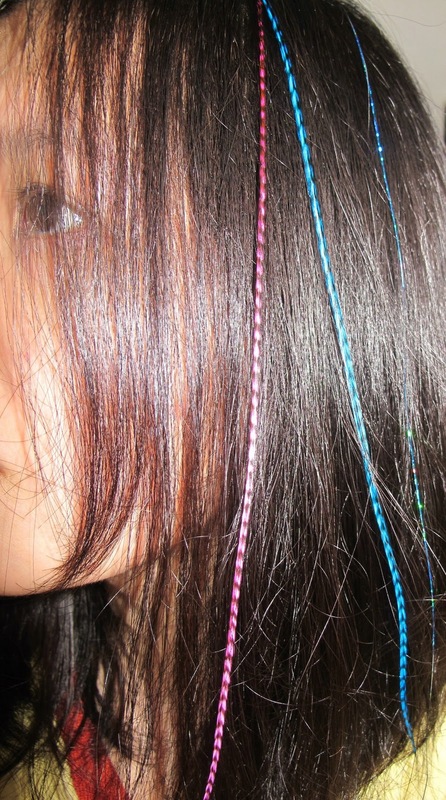 I was told that the feather extensions should last 1 – 3 months. Lots and lots of makeup to try!